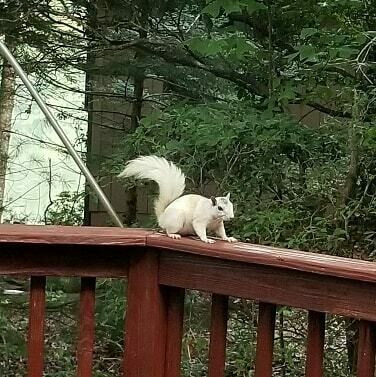 Sure there are albino squirrels, but somehow it seems even stranger that there would be white squirrels that aren’t albinos. However, the North Carolina city of Brevard has a population of just such a creature, all of which are said to have descended from an escaped carnival squirrel. An art instillation for the sake of "raising vibrations." As the legend goes, in 1949, a carnival truck was passing the home of a Florida man known simply as Mr. Black. According to the Brevard website, Black caught a pair of white squirrels that had escaped from the truck and gave them to Brevard resident H.H. Mull, who subsequently passed them on to his niece so that she could try to breed them. Her stint with animal husbandry failed to yield any results, but she kept the ivory animals anyway. She left home in 1951, and without her watchful eye, one of the squirrels escaped, and the other squirrel was released to go find its companion. Where the young Ms. Mull failed, the squirrels themselves excelled and (possibly) from those initial two squirrels, there is now a thriving population of white squirrels throughout Brevard. It has been estimated that as many as 1/3 of all the squirrels in the city are white. The rare animals also all share a similar coloration with small dark patches on their heads and shoulders, but are otherwise notably ghostly. As they are not albinos, which are totally free of pigmentation, the squirrels are considered an offshoot of the Eastern Gray Squirrel. Some people who have not seen the little critters running around the city don’t even believe they exist. 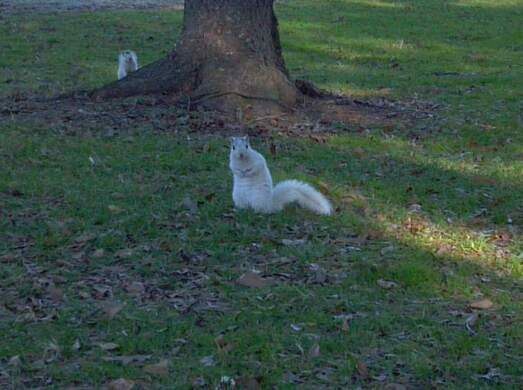 But despite their unverifiable origins, the white squirrels of Brevard are all too real. To best see the White Squirrels of Brevard, there is a stable little population on the Brevard College campus, particularly around the creek that runs through the College campus. During the Fall there is also an annual White Squirrel count done by volunteers. You can join in and help monitor the Brevard White Squirrel population. According to local lore, this narrow passageway through two large rocks was accidentally created by the devil himself. The highest point in South Carolina was once owned by an energy company that neglected it but now the state is taking it back. Hidden behind West Philadelphia rowhomes is a haven for migratory and local bird species both ordinary and rare. A six-story treehouse offers spectacular views of New York's Finger Lakes region.